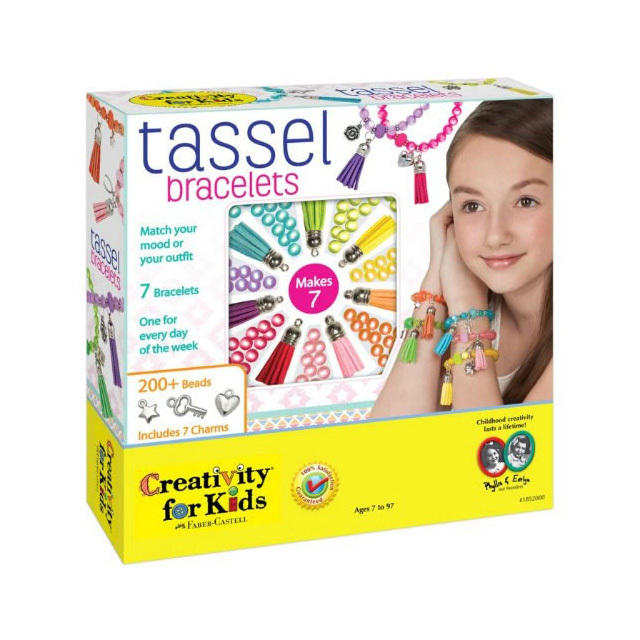 Create 7 great bracelets to match any mood or outfit with Tassel Bracelets from Creativity for Kids! Wear them individually or stack them on your arm. This kit has everything you need to make 7 tassel bracelets including 7 tassels, 7 charms, and over 200 beads. Arts and Crafts kits from Creativity for Kids are bursting with great arts and crafts projects. That's what Creativity for Kids is all about - fun, imagination, innovation, and creativity.